Along the road to Sant Miquel de Balansat, there is a good number of interesting restaurants where you can enjoy all kinds of cuisine, from traditional Ibizan dishes to the most varied international food. Here we provide you with a series of the best recommendations starting in Santa Gertrudis and ending in Sant Miquel. You begin your tour in the village of Santa Gertrudis. In the church square, there is a secret garden hidden under a large canopy of trees where you’ll find the Finca la Plaza restaurant. Its most prized offering is its authentic Mediterranean cuisine created with imagination, care and consideration and enjoyed slowly in very special surroundings. Santa Gertrudis hides another gem in its charming little streets: Macao Café, a cosmopolitan Italian cafe, sophisticated and relaxed. One of the favourite places of locals and multiple celebrities. The restaurant has a large indoor area for cooler nights and a garden terrace with dim but perfect lighting. Their pizzas and homemade pastas are simply excellent. 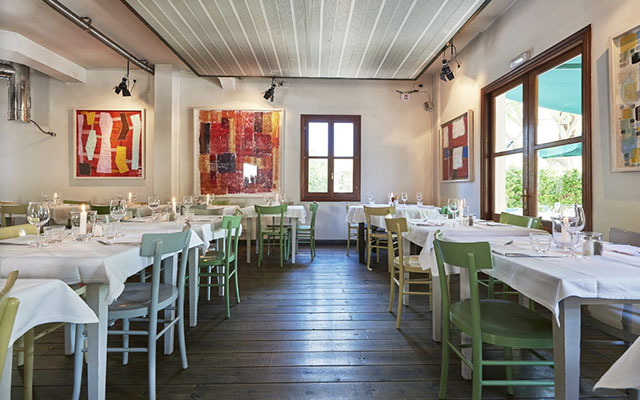 Leaving the village of Santa Gertrudis you’ll find the Can Caus restaurant, with simple and traditional cuisine centred around Ibizan sausages. 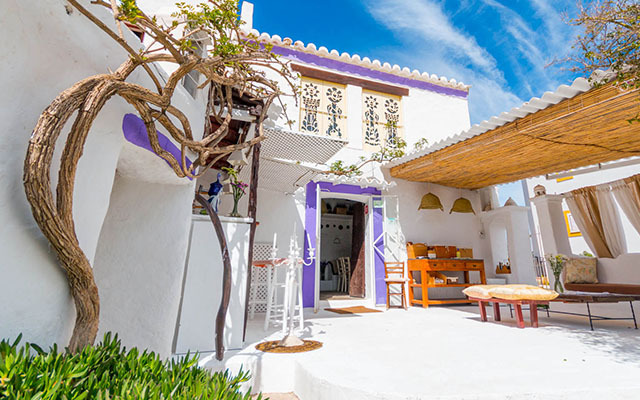 With a beautiful terrace, this establishment offers grilled food with ingredients from the island, as well as typical Ibizan dishes such as “payesa” salad and “arroz de matanzas”. The restaurant’s owner also has a food business featuring typical products such cheeses and “sobrasada” that can also be tasted in Can Caus. 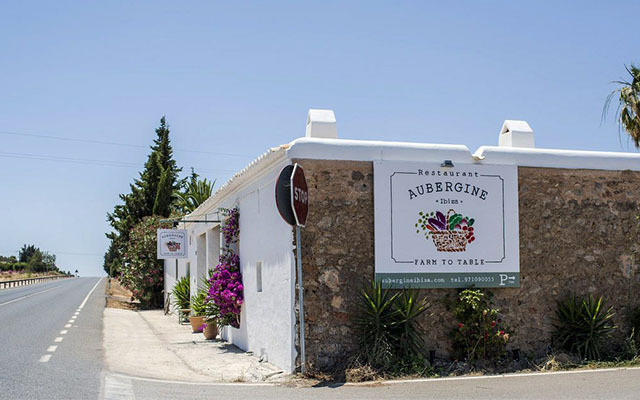 Located between Santa Gertrudis and San Miguel, Aubergine offers the best healthy Mediterranean cuisine with freshly picked products from its garden. It also has a wide range of juices, a shop selling local products and a welcoming and relaxing terrace. A chic rural environment that provides a friendly atmosphere for those who want to enjoy the quiet and slow pace of the north of the island. On the Sant Miquel road you can also find the Amalur restaurant, one of the best restaurants on the island. They define themselves as a Basque-inspired restaurant with a Mediterranean mission. It is located in a beautiful country house, and its dishes include mozzarella soup with glazed cherry tomatoes, lamb sirloin with honey glaze, tuna tartar with onion puree and fresh duck foie on a bed of apples. On the same Sant Miquel road you can find the Can Pau restaurant, which is run by a Catalan cook. Open for thirty years, it is a well-established restaurant. 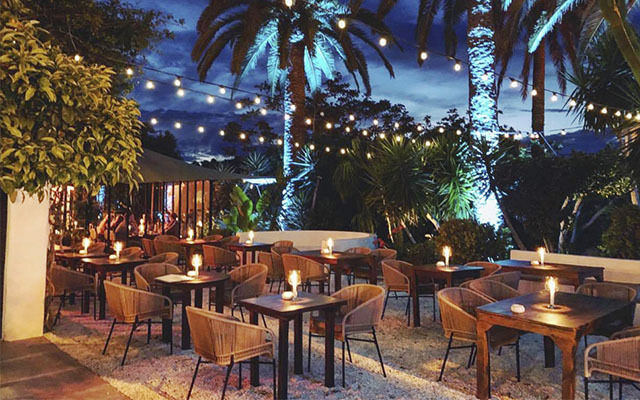 This culinary tour ends on Sant Miquel road, in the outskirts of the town of the same name, Sant Miquel, where you can find La Luna nell’Orto an Italian and Mediterranean restaurant. With a menu that is constantly transformed and updated, it offers dishes “made with love” as they like to say to themselves. The best island products with an extensive list of wines from Spain and Italy.